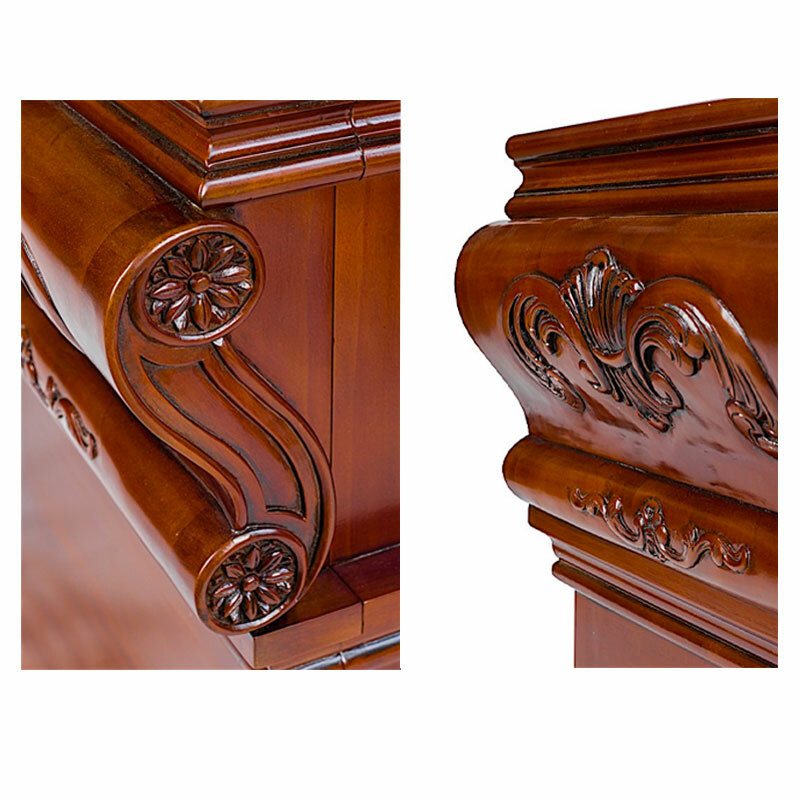 Carved mahogany and marble with Italian style. 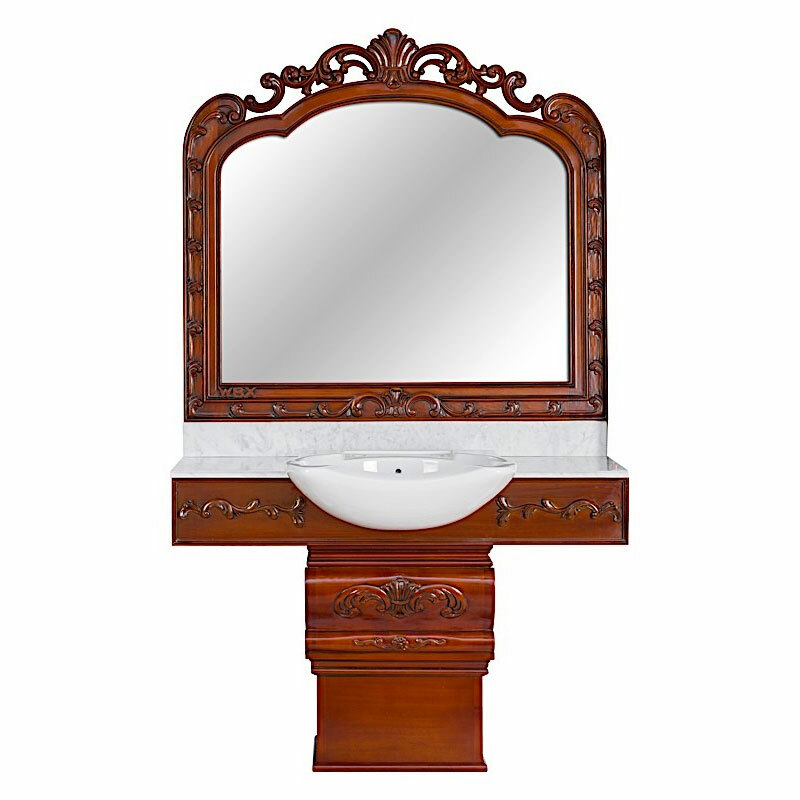 The WBX Barber Station is a beautiful and solidly crafted piece of traditional barber furniture with flamboyant Italian styling designed in conjunction with top barber Joseph Lanzante. It stands on a central wooden plinth which supports the ceramic basin, either side of which are good-sized drawers for storage. 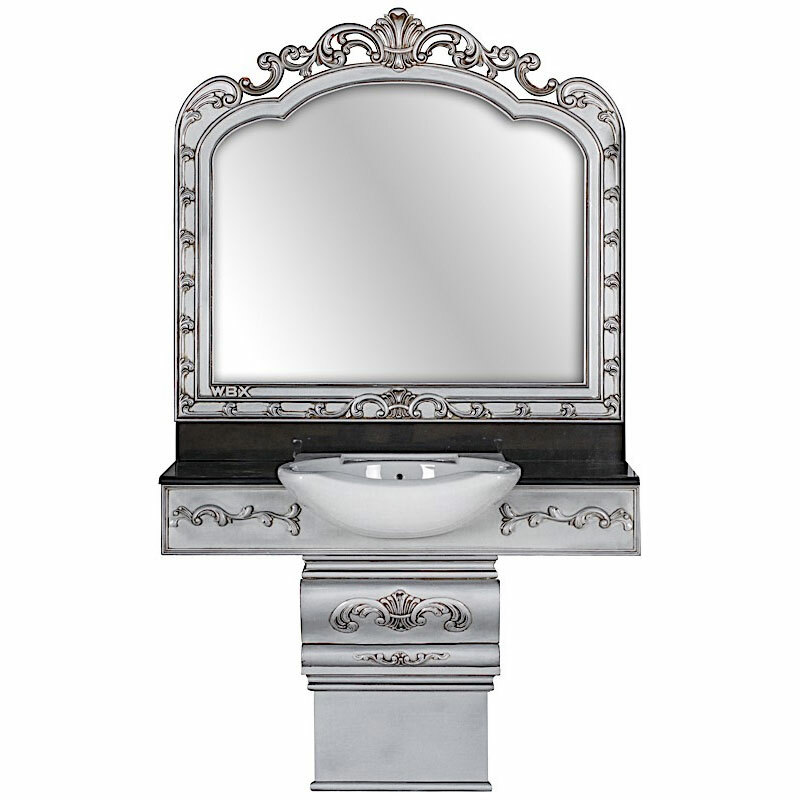 The top and splash-back are carved from beautiful white marble or you can specify black granite if you prefer. 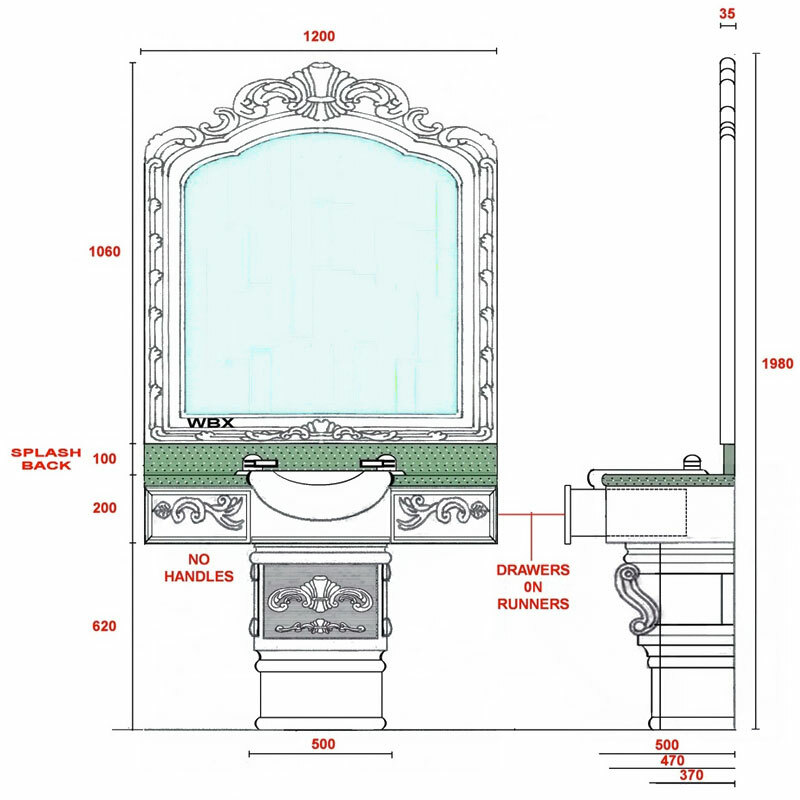 Above the unit is an enormous (1060 (h) x 1200 (w) mm) mirror with a mahogany frame carved to match the base unit. The WBX Barber Station is hand-built in the UK from sustainably sourced mahogany. It's a modular system, so you can fit several stations together for a built-in look and there's also a link unit (available separately) for extra space and storage. 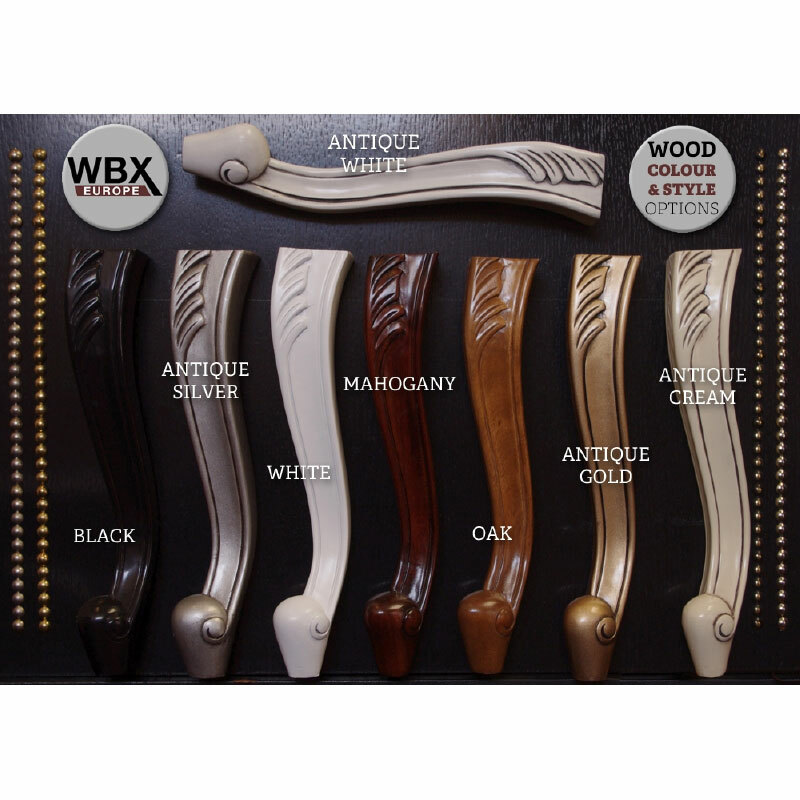 The standard finish is natural mahogany but if you prefer, the wood can be coloured in any of WBX's wide range of wood finishes. Dimensions: 1980 mm (h), 1200 mm (w), 500 mm (d). £2,946.00 (inc. VAT) Why no VAT? We're a trade wholesaler and quote our prices without VAT to help our VAT-registered customers understand the true cost of a purchase. 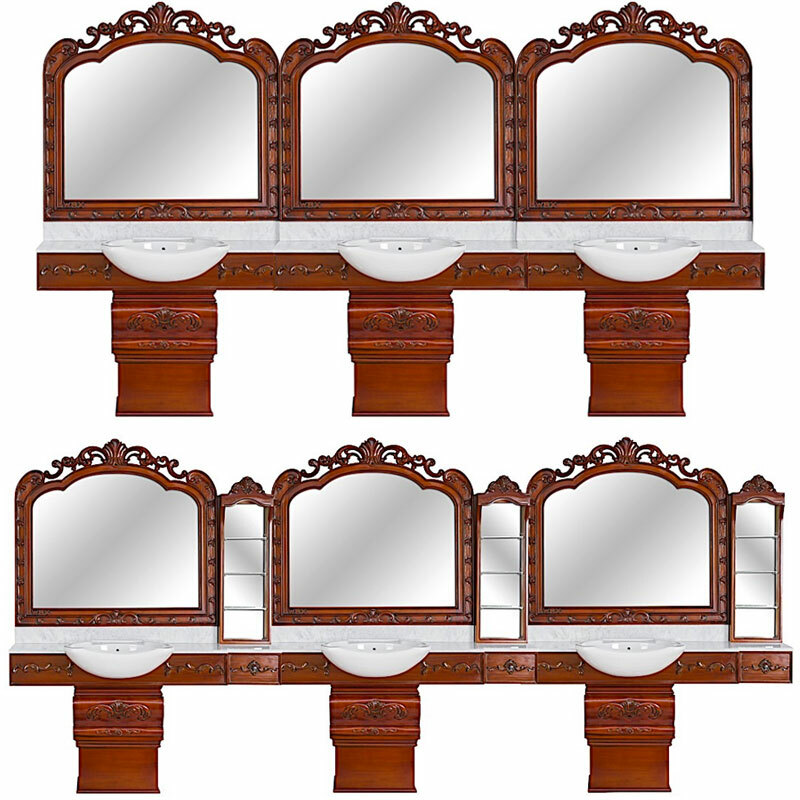 Save up to £155 a unit when you buy more than one WBX Barber Station. Matching link unit for the WBX Barber Station which adds 3 adjustable-height glass shelves, worktop space and an extra drawer. Other wood finishes and a black granite worktop also available.